DL's Backstage Pass Radio show "Todd Galberth interview" DANG D.L. @2Trillion Thoughts and More. 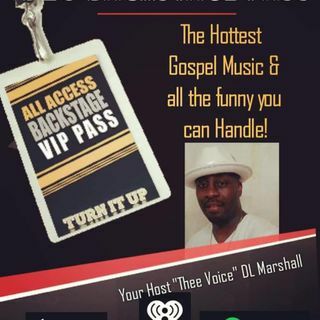 The Hottest Gospel Music This side of Heaven and All The funny you can Handle.